Refined, comfortable and well equipped. Excellent crash test rating. 1.5 dCi is very economical. 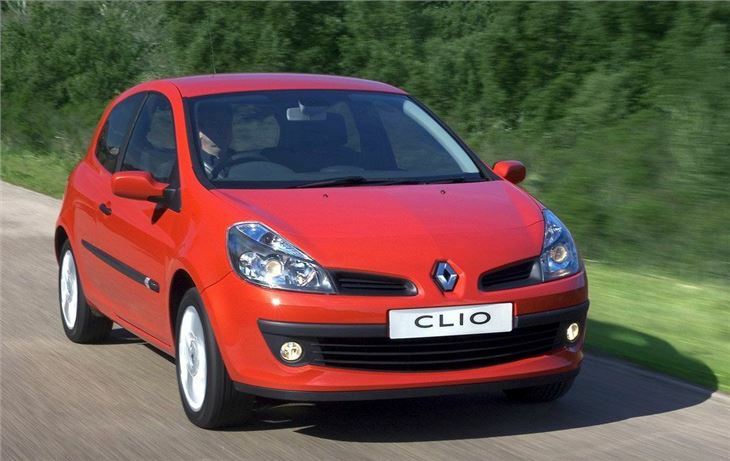 RenaultSport Clio now 197PS. Electric power steering feels odd. 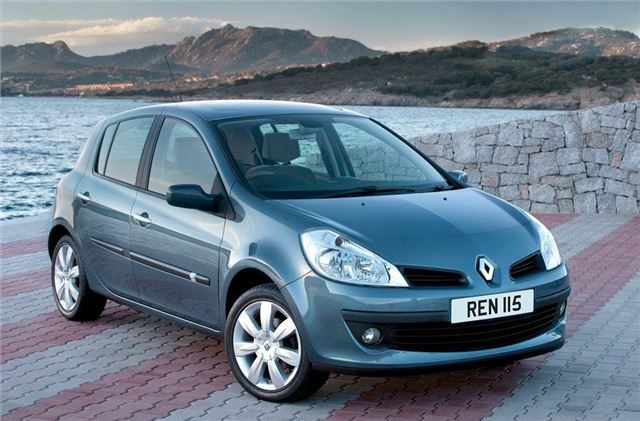 Report of sunroof of 2006 Renault Clio failing to open. There is no doubt that Renault has turned the Clio into a classy little car. You almost expect to see a Jimmy Choo shopping bag on the back seat along with a bunch of other designer labels. It's very good looking. Better than the 207, in my eyes. And since that's its main competition it at first seems to have the job sewn up. Nice colour range, too. It looks particularly good in dark metallic blue with alloys. And the solid Capsicum red that mine came in is a really rich red (always the best colour to photograph). Of course, it is up against the much cheaper and even better looking Grande Punto as well. But for strange, snobbish, style reasons, many Brits who would be happy with a Renault or a Peugeot won't be seen dead in a FIAT. Supremely economical, well-built, few-fault, fun car.